1. 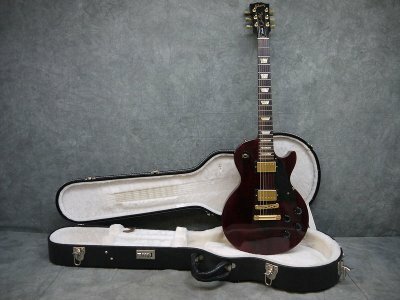 I could return the guitar, pay the shipping, and hope to find a better one. 2. I complain and whinge and try to get some money back. Good luck there. 3. I could deal with it. 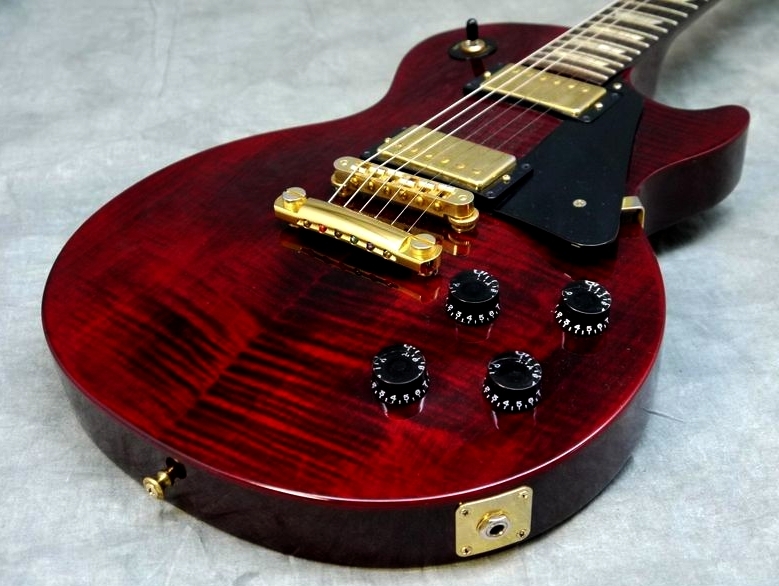 The problem with the first option is that these flamey Studos are fairly rare and I actually liked the guitar. On to number two: Frankly, having watched forum descriptions of people trying to resolve eBay complaints, I realized that resolving something like this might require more energy and emotion than I was interested in. Which left option number three: Given that I had broken my own rule about buying guitars online, I decided to call this a “lesson learned,” and to see what I could make of the situation. It was time to dust off my guitar restoration jedi skills from long ago. I used to buy beat up guitars, repair and make them look presentable again, play them for a while, then sell them at a profit to move up. Along the way I learned a tiered approach to renovation, starting with gentle steps and increasing as needed. Because it had been a while since my last project I’d have to do some research on new products. This was a lacquer-finished Gibson guitar, so I’d have to keep that in mind. I first tried cleaning and polishing with a gentle polish. That took off the grime but revealed the extent of the buffing, texturing, and surface hazing. Next, I moved up to Yamaha Guitar Polish. This is a petroleum-based polish that softens the finish and allows you to buff it with a microfiber or cotton cloth. That improved things, but only a little. It was time to bring in the big guns, time to go to automobile products. I let the finish harden for a while and went on the Internet to find the best clear coat rejuvenation system I could find. 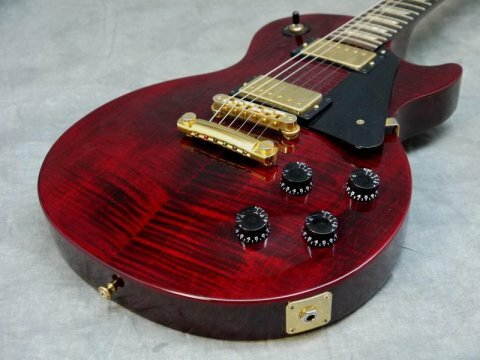 Many people don’t know that since early on, guitars have been finished with automobile finishes and techniques. As a result, some of the best products for guitar finishes can be found in the automobile detailing arena. I didn’t want a heavy abrasive such as a rubbing compound, but was instead looking for something that allowed me to take it slowly and gently and use multiple applications to keep from damaging the finish. 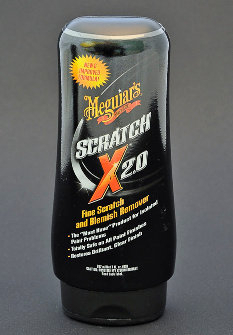 I settled on McGuiars Scratch-X2.0, a one-step product for clear coat that removes scratches and doesn't leave swirl marks. The bottle cost $10.95 and there's way more than needed for this job. I'll admit that I selected a McGuiar's product out of comfort because I used their products "back in the day" with great results. The recommended technique is to apply the cream and rub in circles. When the compound is almost gone you come back with a clean cloth and polish off the residue, once again working in circles. This method allowed me to control the application pretty well. I put on some music, set up my stuff at the kitchen table, put the guitar in my lap, and began methodically working over the finish, removing any plastic parts as needed to get access. I decided to begin at the worst part – the sweat-textured area where the player's arm rested on the lower bout. After the first application there was great improvement, but it was clear there was a ways to go. In all, the project took about six hours of methodical work, rubbing and checking in the light, rubbing and checking, but the final result was absolutely phenomenal. All the pick and wear hazing disappeared. All the pick overshoots went as well. Small clear-coat scratches and sweat marks vanished. The sweat-textured areas became smooth and polished and in most areas completely vanished. Where the damage was worst I decided to not push the process and risk breaking though the finish, but the result is still so glossy and smooth that only someone who knows what was there will be able to detect anything, and then only looking closely in bright light. What emerged from the process was a bright, lustrous guitar with a few small dings for character but an overall finish that looks new, glassy, and pristine. The guitar I thought I had seen in the dealer photos had finally “arrived.” I was extremely impressed with the McGuiars Scratch-X, to say the least, and thrilled with my results. After I oiled the fretboard with some mineral oil and wiped off the excess it looked new as well. I ordered a shiny new pickguard and bracket to celebrate the rebirth of this instrument. But there was a side benefit that emerged from the whole exercise: As a result of the hours spent examining, treating, and restoring every inch of the guitar's surface, I got to know it in the way you get to know your car when you repair and detail it yourself. There's an intimacy you can't get any other way. It was sort of an instrument/player bonding time, with me coming to terms with the guitar, its character, and its past. To quote Robert Heinlein, I grokked it, and I liked what I learned. I’m left with a fine-looking guitar with its “mojo” still intact and a guitar that I can be proud of. And the better part of that is due to my investment of time, patience, love, and effort.